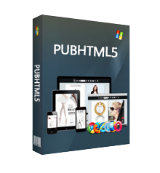 PubHTML5 is a popular digital publishing solution. PubHTML5 Platinum Win and Mac was available as a giveaway on May 10, 2016! PubHTML5 is a popular digital publishing solution for everyone to create and publish beautiful digital flipbooks with ease. It can be used directly online at pubhtml5.com, and offline on Windows and Mac computers. Unlimited cloud storage is available to all Platinum users. The 6-Month Platinum Plan provides powerful Animation Editor and Page Editor for you to enrich your content with rich multimedia such as video, audio, image, and more. Please note: If you are a Mac user, please download the installation file here (76,8 MB). The software includes a 6 months license. How would you improve PubHTML5 Platinum Win and Mac? Add a monthly payment option for "Platinum"! Failed to start Mongoose. Maybe some options are assigned bad values? Try to run '-e error_log.txt' and check error_log.txt for more information. No interested in puting my content out in the cloud. I need a local HTML5 generator. Seems this is not worth downloading. What are these time-limited software? As longer trial version? Mikik, the software includes a 6 months license. After 6 months, you can continue to use the Free plan. No extra fee is required. What about win 10 ??. I'm giving this a chance.. Yes, PubHTML5 can work on win 10. Ed , Yes, PubHTML5 can work on win 10. My first attempt was with a 18 page pdf that I created. Result was 2/3 of page one and 3 other pages were a mess. This software is too full of bugs to use, looks like it was never tested. I use a different page-flip program (Axmag) that was free and have zero problems with it (but it creates flash code only) or with several others that do create HTML5 and work fine. Only pubhtml5 has problems. My first attempt was with a 18 page pdf that I created. Result was 2/3 of page one and 3 other pages were a mess. This software is too full of bugs to use, looks like it was never tested. I use a different page-flip program (Axmag) that was free and have zero problems with it (but it creates flash code only) or with several others that do create HTML5 and work fine. Only pubhtml5 has problems. Leo Waltz, I was interested by your reference to AxMag, so looked it up. It creates both Flash and HTML5, looks impressive, but sells (now) for $380-$499.00. Thanks for the note anyway, will watch for it to come along on a giveaway. Mark Magill, the AxMag giveaway from June 2011 only created Flash. I haven't seen any since then. Leo Waltz, Sorry for the problem. Could you please send us your PDF for further check? Contact us via email pr@pubhtml5.com. We will solve the problem soon. I try to print demos (want to see how it looks in printed PDF), but only shown white pages. Also almost all animations are messy. I´m looking for online magazine publishing software, but this is not for me. You can also upload them to your own website (although, I believe this is not available for the Free membership option). Additionally: These publications are HTML5 and you can download them to use on a local computer; You can also upload them to your own website (although, I believe this is not available for the Free membership option). By the way, your publications do not disappear from their system. It is just your accoutn whcih is downgraded to the Free version, which means some of the interactive capabilities may go missing - i.e. those involving the use of their "Animation Editor" & "Advanced Event Editor". Very fed up with these flipbook makers only providing a flipbook that can be used via the cloud, for limited periods, and with a registration, what is that nonsense!?? Just would be good to have one that is fully usable without all that i.e. buy it use it, that's it! No ties needed! 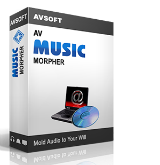 Phil K, you can get the details of registration from the download. - what will happen with my former publications? - shall I have the option to local publishing after the 6 months finished? I understand that after 6 months I shall not have the possibility of publish the flipping book on pubhtml server. But: - what will happen with my former publications? - shall I have the option to local publishing after the 6 months finished? Thanks for answer. After six months, your former publications will be retained in your account. But they are not accessible to the public unless you continue to subscribe a premium plan. A free account has no option to local publishing. Andras, After six months, your former publications will be retained in your account. But they are not accessible to the public unless you continue to subscribe a premium plan. A free account has no option to local publishing. I have been carefully researching all of these types of programs for some time now. PubHTML5 was the one that came out top and I would have used. However, the reason I did not end up using it was that there was no monthly subscription that included the use of their Animation Editor & Advanced Event Editor facilities. I am very reluctant to tie my self into a yearly advance payment, even though the company has been around now for a few years. Give me a monthly payment option including these two elements and I would happily pay for this facitlity! 404 Error on the quick start link in the opening splash screen! Annoyed by 6 month limit, but that's their decision. However if we really are limited to their servers and our work goes away after license expires then this is useless. 404 Error on the quick start link in the opening splash screen! Annoyed by 6 month limit, but that's their decision. However if we really are limited to their servers and our work goes away after license expires then this is useless. Without resorting to guess-work or assumptions, what does the 6 month licence actually entail? Is it 6 months of updates but continued off-line usage thereafter, or 6 months and then it stops working, even off-line? Frank, that's very helpful, thank you. I do not intend to use their server so it may be worth a download. Kestrel, what I forgot to say: The SW runs with limitations - which you can see in the link. Frank, mmm, it is looking more and more like I won't bother. For something that I will need only occasionally, it is very expensive, and I don't like the idea of any work having been wasted in 6 months. Nope, think I'll leave this one. This program reminds me of the way early Desk Top Publishing programs were used. Just because you can doesn't mean you should. 24 different fonts, in10 different sizes, in 12 different colours all on one brochure wasn't a good idea then. A brochure that twists and turns, zooms in and out, slides up and down isn't a good idea now. The Kok-au-vin and coffee cove demos = headache. It just started. Thumb down? You tried this download already? jugem, Some know this software well, as I do. I use more professional software now, on my own sever. I'm not reliant on using their server when, after six months, they demand you pay or delete the lot. FYI, I have not voted and probably won't. jugem, Very nice and knowledgeable programs. The reason why the thumbs down, probably because it is only a 6 month license! jugem, Very nice and knowledgeable programs. The reason why the thumbs down, probably because it is only a 6 month license! Svend Ostergaard, this solution probably not effective responsive, and have many-many small problems with the templates.